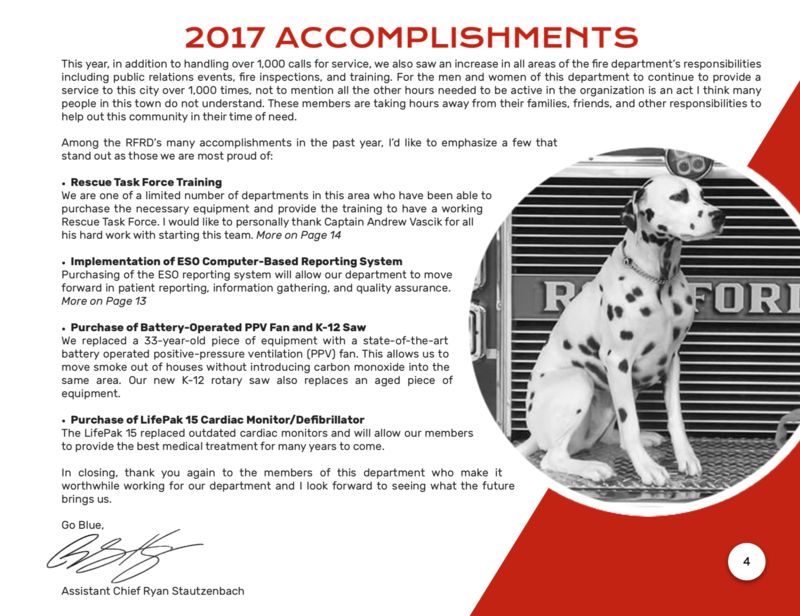 This year, in addition to handling over 1,000 calls for service, we also saw an increase in all areas of the fire department’s responsibilities including public relations events, fire inspections, and training. For the men and women of this department to continue to provide a service to this city over 1,000 times, not to mention all the other hours needed to be active in the organization is an act I think many people in this town do not understand. These members are taking hours away from their families, friends, and other responsibilities to help out this community in their time of need. 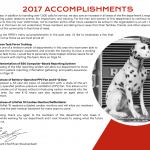 Please see attachment for more information on accomplishments and achievements.